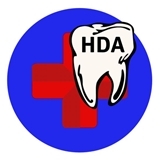 Howe Dental Associates (Passaic) - Book Appointment Online! Dr. Michael Weiner is a general dentistry in Passaic, NJ who is very experienced in implant restorations and full mouth rehabilitation cases. We have a solution to any of your dental problems, contact us for a free consult. History Established in 2015. Dr. Weiner has been working on dental patients for 10 years in new york and new jersey. This is Dr. Weiner's first office in passaic county, which opened in october 2015. It is a brand new construction with 100% new equipment and luxurious conditions for the discerning dental patient. We do everything from basic checkups and cleanings to advanced full mouth implant restorations. My first visit very pleasant. Problem with cap was Completed within 1 hour and 1/2 or less. 2nd visit always nervous when going to Dentist. All that nervousness for nothing. 2nd issue taken Care of with 2more follow up visit. SERVICE WAS EXCELLENT!!!? ?STAFF IS SWEET! He is AWESOME!! !